Cash Camp is a relatively new binary options trading software. Find out what they didn’t tell you in our review before you proceed any further. 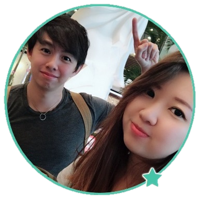 It’s a very big promise to make, so before anything else, we should look at what Cash Camp is and how it works to generate profits online. Cash Camp is basically a binary options trading software created to help traders forecast the binary options marketplace and hopefully win trades. You need to download a software for it to work in conjunction with their designated broker. To get everyone on the same page, we need to briefly explain what binary options are and how they work. Binary options is essentially trading stripped down to its simplest form. You select an asset and predict if it will go up or down in price after a short period of time, usually within 1 to 5 minutes. If you forecast (guess) correctly, you win a certain percentage of the money you risk. If you predict incorrectly, however, you lose the entire amount that you bet. Please keep in mind that we do not recommend binary options at all if you want to make money online. There are simply better alternatives out there than trying to gamble your way to wealth. 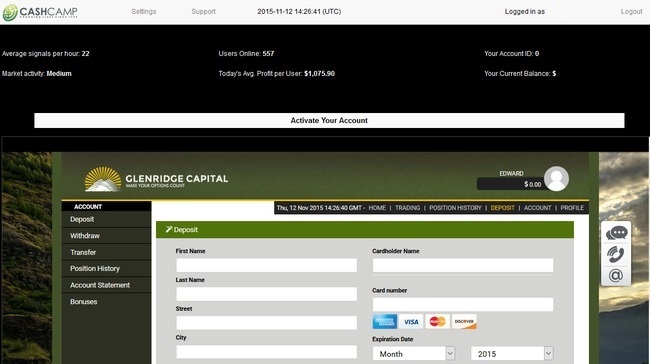 Cash Camp comes into the binary options picture as an automated signal provider. When you sign up with Cash Camp, you agree that you authorize them to share your information with their partners, i.e. binary options brokers. Once you have an account with Cash Camp and with their designated broker, you can either trade manually or you can automate all your trades using Cash Camp software. If you choose to automate your trades, Cash Camp software will provide you with trading signals that help you decide how you should take certain binary options trades with your broker. Cash Camp does have an autopilot function to fully automate all your trades, but the success rate of 97.39% is most likely exaggerated. Read below for more information. For people who are completely new to binary options and their signal service providers, Cash Camp did leave out quite a bit of details in their sales materials, which can be very misleading. Firstly, binary options is a form of trading, which means you must deposit a sum of money to get started. Cash Camp partnered up with Glenridge Capital as their broker, and they require a minimum deposit of $250 before you can trade. Secondly, as with any other forms of trading, there is no guaranteed profits. Contrary to what their sales material claim, they cannot guarantee a $1,192 daily profits for their subscribers. In fact, if you read their disclaimers closely, you will realize that they admit trading in binary options is very speculative and highly risky, and it may not be suitable for everyone. They also do not guarantee their users any profit, or guarantee that their users will not lose any, or ALL deposited investment funds. So if you want to use their system to trade binary options, you have to be prepared to lose all your investments. Thirdly, there is no information anywhere about the price they will charge you for the software after 30 days. You are only promised a 30 days trial for Cash Camp software, so there will be fees charged to you after the trial expires. Unfortunately, there is no information anywhere on how much the software will cost you after the trial ends. Should I Buy Cash Camp? The simple answer is – No. If you want to make serious money online, we wouldn’t recommend binary options trading and trade signal providers because there are much more promising business opportunities online. 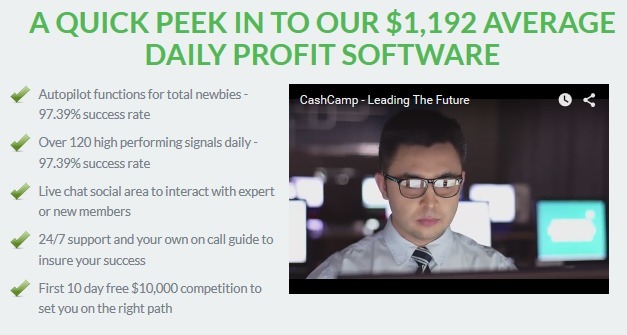 We wouldn’t call Cash Camp a complete scam, since it does provide a free 30 days trial for you to try out their software. But to be honest, the information provided by their sales pages did not reveal all the truth, either.